S.K. Mayhew, Kid Lit Writer : Time & Circumstance...a MUST read...more than once! 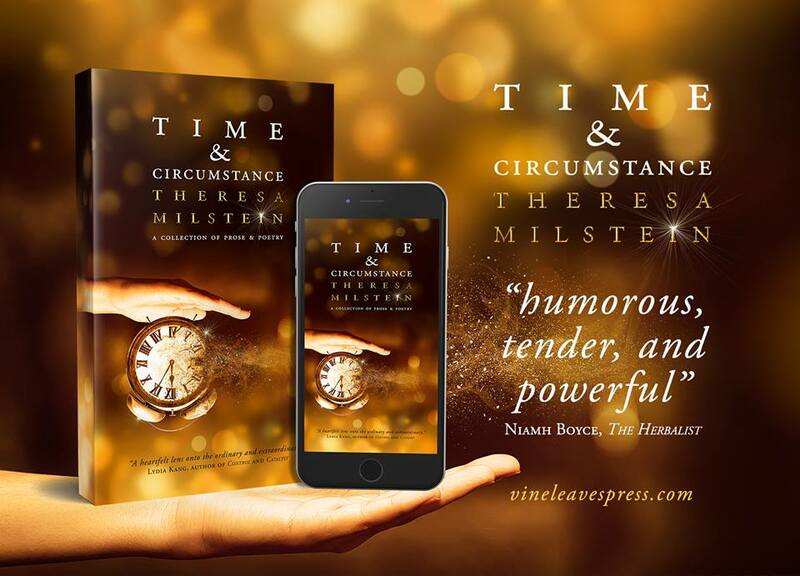 Time & Circumstance...a MUST read...more than once! This beautiful writer has been my blog friend since some time in 2009. I have to admit, I stole her from another writing friend. I knew she had to be mine the second I saw the title of her blog. She was a substitute teacher and I had just "retired" from teaching. Me, being me, I wanted to help her reach her goal of having her own classroom. I'm sure I filled her head with so much information it might have exploded, but it was the beginning of a great friendship and critique partner relationship. Poetry inspiration has come from many different places. Because my imagination is activated from challenges, visual and written prompts work well for me. A few of my vignettes in the collection came from prompts. But real life has served as ample inspiration as well. A now inactive blog, “Magpie Tales” used to post picture prompts on a regular basis, which I sometimes posted on my blog and sometimes wrote for myself. I’m a visual person, and the photos and paintings paired nicely with poetry. My first Magpie attempt, “Brolly Folly,” was inspired by a black and white photo of what looked to be a man with holding a red umbrella and a purse. It’s still one of my favorites. Of the maybe 20 in the collection that were inspired by Magpie Tales, I must admit that about half I’d written in advance and waited for a picture that fit with the poem, and the other half the picture actually inspired me. I miss that blog. I’ve tried to find another on that solely uses images, but so far, no luck. Written prompts mostly informed the prose rather than the poetry, and I’d love to do more of them. There was a Neil Gaiman challenge in The Guardian to begin a piece with the lines: “It wasn’t just the murder, he decided. Everything else seemed to have conspired to ruin his day. Even the cat.” I was too late to add my piece to The Guardian’s online comment section, but “Injustices” made its way into my collection. Another favorite, “The Door” also came from a challenge to begin with “The door swung open” and to end with “The door slammed shut.” I would love to be part of an anthology that all came from the same challenge—what fun it would be to see where our styles and imaginations took us. Real life, in its wonderful and ugly carnations, has also enriched my writing. One of the last poems in my collection, “Summer Song” came from a vacation on Cape Cod when my family rode on a boat from Woods Hole. The weather was gorgeous—not too hot, not too cold. The views were postcard perfect—everything blue and bright. We passed by all the grand Kennedy family homes. We eventually stopped at a couple of beaches and walked through the clear waters. On the way back, these lovely lines kept popping into my mind. I typed them into the notes section of my phone, so I wouldn’t lose them. Later, I sorted through the notes and wrote the poem. On a darker day, the poem “Boundaries,” was inspired after hearing a hate-filled speech and comparing it with the realities of the poor children I taught at school. I used the dichotomy to channel my feeling onto the page. Often I find there’s something I want to write about. The idea is in the back, percolating. It takes just one inspiration to take it from my brain to my fingers. My advice is to look for these inspirations and see where they take you. Congrats to Theresa! I have known Theresa for years and am so excited for her. I so admire poets. It takes a very special talent to be able to write it. Much harder than fiction. If I could relive a day, I'd pick my wedding or the day we adopted my daughter. Thank you, Natalie. I've known you for a long time too. Those sound like two perfect memories to relive. Hurray for Theresa and hurray for poetry!!! Congrats!!! whenever any of my writer friends gets published it makes my heart happy. congrats to my friend miss theresa! Hi Theresa and Sharon - yes we've probably known each other as long as ... it might have been 2010 with the A-Z ... but it's great being part of this wide loving blogging group. Your poems seem to be drawn from your heart and that makes sense - yet you're highlighting the natural rhythm of life - good and sadly bad ... the book will make a good read - Time and Circumstance ... great title too ..
Hi, Hilary. Yes, I think we met through A to Z all those years ago. Thanks for your kind words. Congratulations on your book. I know that when Sharon recommends a book I need to pay attention. If I could relive any day, it might be the a summer day in 2008 before we left my parent's home to return to Taiwan. It was my last summer with my father. I think I would have asked him more questions about his life, his story. I learned so much about him at his funeral...but, I'm thankful for that summer and the memories we captured. MaDonna, thanks. And thank you for sharing about your father. It's hard to squeeze everything in when we have limited time. I'm sure just being with each other was the most important. Thanks again for hosting me and for being such a great friend, Sharon. I've finally posted the winners on my blog.